A legendary destination with a wealth of attractions to experience, Memphis is renowned for being eclectic and intoxicating. From the world-famous blues clubs to the delectable back-alley BBQ joints, and a number of upscale boutiques and malls dotted throughout the city, Memphis is a location that serves as a unique wedding setting. For ceremonies that really make a statement, Memphis is a truly fantastic choice - a city that will house memories you'll treasure forever. 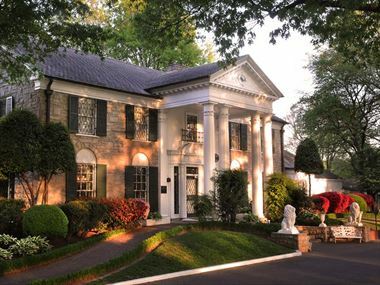 Nestled in the shadows of Graceland, the legendary estate Elvis Presley so lovingly called home is Graceland’s Chapel in the Woods. Step back in time as the wooded area adjacent to Graceland Mansion embraces the old-fashioned chapel in Southern style and grace. 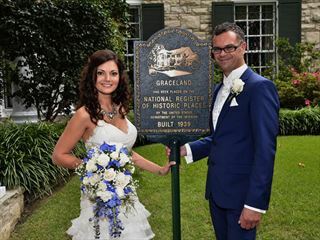 Whether it’s just the two of you or up to 50 of your friends and family, Graceland’s Chapel in the Woods will complement the ceremony of your dreams.